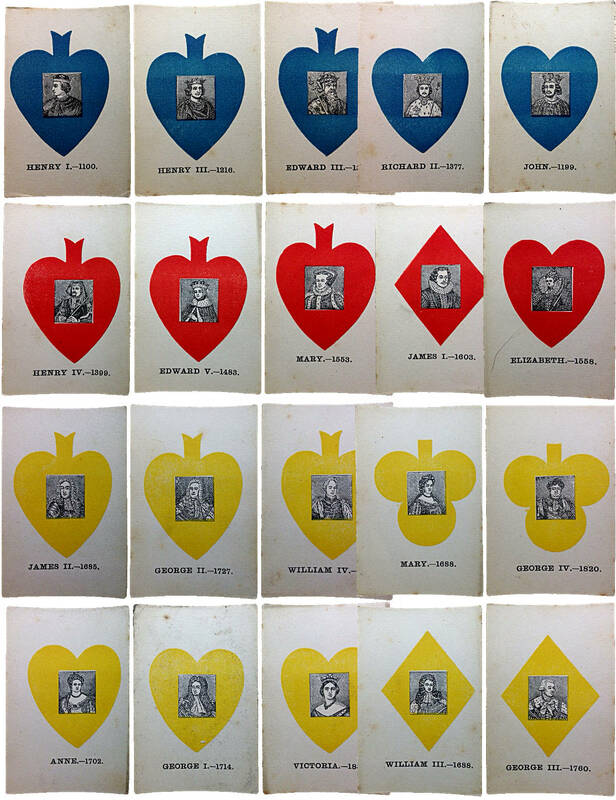 Jaques' Quits card game, c.1880-85, with portraits of monarchs inside suit symbols in red, blue and yellow, designed to assist the education of school children in British history, Parliament, the Catholics and Protestants, etc. 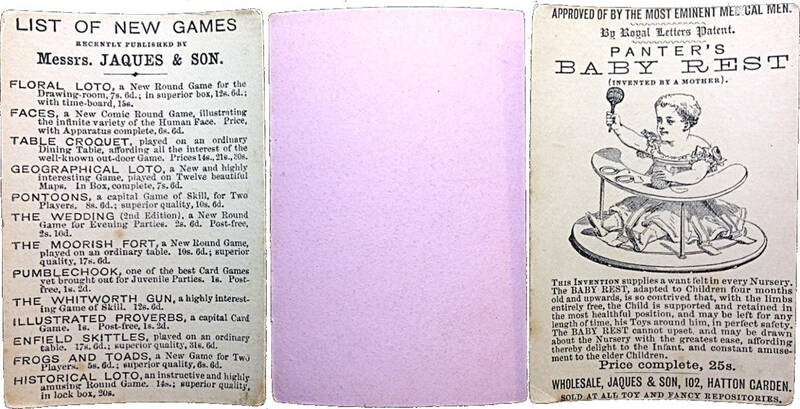 Above: cards from Jaques' Quits, c.1880-85. 87 cards + 2 extra cards. The backs of the card are a plain pink colour. Images courtesy Dan Dragojevich. Right: extra cards and reverse (Click to zoom).